Possibility Press can help you win! 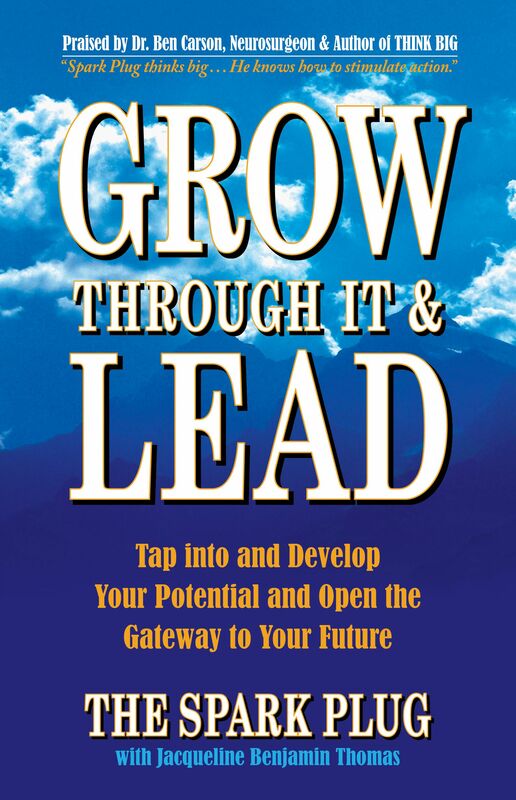 Grow Through It and Lead teaches you how to grow stronger in leadership by facing challenges head-on, learning all you can from them, and being an example to help others do the same. Spark Plug says organizations want leaders who care about people and can inspire them to tap into and develop their potential. No one wants to follow an arrogant person. This power-packed book will help you grow through challenges and become a more effective, revered leader. ● Develop an attitude of unshakeable fortitude. ● Catch the vision and soar to your destiny. ● Commit to planting seeds that yield abundant fruit. ● Sell yourself and what you have to offer by caring about others. ● Embrace challenges to open the gateway to your future. In his own inimitable way, Spark Plug shares hard won knowledge gained through the experiences of overcoming tough times, and how to use them to your advantage! In a friendly, down-to-earth style, he shares simple, yet powerful truths to help you become an outstanding leader. Embracing challenges as gifts given to us for our growth is paramount to becoming a great leader. A Leader in Personal, Professional, and Business Development, and Bulk Supplier of Books to Organizations Worldwide.